This year Stampin’ Up!® are celebrating 30 years in business and tomorrow, 23rd October, they are having a 24 hour Stamp Sale to celebrate. Check out all the stamp sets below by clicking here to download a copy. To place an order you can go to my Online Shop, call me M: 0418 218 467 or email me. Blended Seasons Bundle (wood-mount $134 or clear-mount $113) Please note the bundle is the Stamp Set and Dies only. Watercolor Pencils in 10 new colours ($21.75) Note: These Watercolor Pencils may be available in a future publication. The promotion runs from 1st – 31st August, 2018 while stocks last so get in early so you don’t miss out. Stampin’ Up!® are offering a select range of Seasonal My Digitial Studio items at a 30% discount till 30th November, 2013. You can check out what’s on sale here and place your order directly through my Online Store. 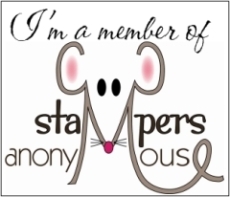 Not only does Stampin’ Up have this fabulous Seasonal Download Promotion but they also have this one. It’s Digital Scrapbooking Day on Saturday, 2 November 2013. But one day just isn’t enough, so we’re celebrating for eight! 1. Guest bloggers: A talented group of demonstrators, customers, and designers from around the industry will share project inspiration on the blog. 2. FREE download: Be sure to check in on Saturday, November 2 to get your freebie. 3. Videos: We’ll share some more ideas with training videos to help you get started. 4. Daily deals: Every day, we’ll feature a new download for 50% off! Remember, you can only receive the 50% off discount on the download for the allocated date above. If you click on the name of the download it will take you directly to the item in my Online Store to view or purchase.